2. 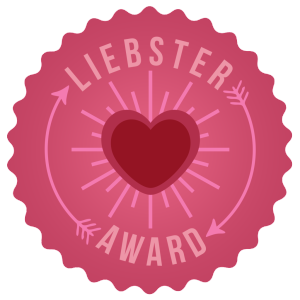 Display the award logo on your page (in a post or a widget) and write your own acceptance post, like this one, including the “rules” (these or your own). 3. Answer 10 questions provided to you by the person who nominated you. 4. Add your own 10 questions for your nominees to answer. 5. Nominate 7 more bloggers (I only did 6) for the award, link to them, and notify them. 1. If you could change one thing about your country, what would it be? Okay, I’m going to cheat a little here and write about the two things I would change. First, the obvious: I would make everyone equal in every sense of the word. Equal rights, equal pay, equal opportunity, etc. If you are a human, you qualify! It doesn’t matter your sexual orientation, your gender, your socio-economic status, your religion, etc. Everyone is EQUAL. Plain and simple. The one thing I would change about my country is how violent it can be. From a few of my posts, you can tell I am anti-gun and anti violence. Why can’t we all just get along? All I am saying, is give peace a chance 🙂 I wish we could be out of all wars, here and abroad. 2. What is one thing about your country that makes you unbelievably proud? I am very proud to be an American. I think our country is one of the greatest countries in the world. I’m proud that we are making big strides towards equal rights, but we have a long way to go to measure up to some other countries. We are trying though, and I do believe we will get there! 3. Do you remember your dreams? If so, what is the last dream you had that affected you? 4. If a blogging genie came to you and offered you three blogging-related wishes, what would you wish? 5. If you had the opportunity to explore undiscovered areas of the earth, OR to explore undiscovered areas of outer-space, which would you choose? Neither. I am a scardy cat! But if there were no fear, I think I would say Earth. I started blogging out of boredom. The summers where I work can be VERY quiet and slow. This one hasn’t been as much, but it’s had it’s slow moments. But also, I LOVE to write, and have been writing short and long stories since I was 5. Blogging seemed like the coolest thing – you write, and people actually read it!Sometimes they even comment! 7. What is your one, ultimate, life-long dream? To publish a best selling lesbian fiction novel. I used to also want to be a famous actress. I love acting, but I couldn’t deal with the life in the public eye aspect. My theory is that fame seems great from far away. Up close it’s just a mess. 8. If you had to give up your other achievements to accomplish that dream, would you? 9. Do you believe in ghosts? Aliens? Yes and yes! Ghosts or spirits are definitely real. I’ve felt their presence before. I also like to think there is more after this life, but don’t believe in heaven and hell. Aliens have got to be real. The universe is so vast, there is no way we could be the only intelligent creatures in it. I’ve had bad experiences with organized religion, and therefore am not religious. I’m always fascinated by fanatical so-called Christians. One of my favorite movies is Jesus Camp. If you haven’t seen it, you should check it out. It will make you scream at the TV and shock you to your core. It amazes me how people like that think – how they can hate so vehemently and in the next breath try to disguise that hate as love. It’s like seeing a car crash. It’s gruesome, but you can’t peel your eyes away. 1) What did you want to be when you grew up? Did you become it? 2) If you could have lunch with any famous living person, who would it be and why? 3) What is your favorite current TV show? 4) Do you have a nickname? If so, do you like it? 5) Describe one moment in your life that encapsulates the word Bliss. 6) If you had only one wish, what would you wish for and why? 7) What are some qualities about yourself that you love? 8) Do you (or did you) want children? Why or why not? 9) What is one memory from childhood that makes you nostalgic for a simpler time? 10) If you had the power to switch places with someone, would you do it? Why or why not? Posted on August 15, 2014, in Uncategorized. Bookmark the permalink. 6 Comments. Woohoo! Thanks for the nomination! I believe in ghosts and aliens, too. There is so much in this Universe that we can’t see/don’t know exist…it’s mind-blowing when you think about how vast this universe is! You’re welcome! Yes! I don’t know how people can think we are totally alone. Thanks so much for putting me in such great company up there! And even though I’m mostly offline these days, I still enjoy coming by and reading your latest.